Once again we have had a busy year at Fairbourne with a stream of carriages (both horse & elephant drawn), veteran cars, vintage cars, caravans and sack barrows! We are continuing to develop the business and this has recently included more car projects. We have had many visitors to our workshops and enjoyed making some new friends and contacts. In February a young Swedish student came to undertake a period of work experience with us. He is training to be a car painter in Sweden and needed to learn traditional coach painting skills. He produced some excellent work during his time here. Last summer Fairbourne Carriages was asked to check over and make safe the Alnwick State Coach in readiness for the wedding of the Duke of Northumberland’s daughter, Lady Melissa Percy. The wheels were removed, checked and oiled and the whole coach was cleaned, with interior trim being further repaired and protected where necessary. A film crew recorded some of the process, which was carried out on site, for use in the Alnwick Castle Museum and archive. 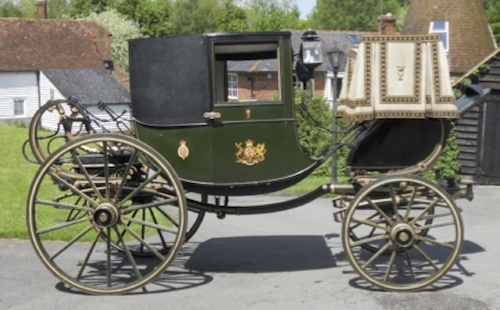 The Verulam State Chariot came to Fairbourne for conservation of painted surfaces and restoration of the upholstery, re-using the existing original broad laces. The Chariot had been stored in a stable for a number of years and was in a sorry but sound condition. It was completely transformed for use at a family wedding last summer. The Maharaja of Mysore’s elephant drawn carriage, with its wonderful domed roof, is currently being repaired and conserved, with new interior upholstery. 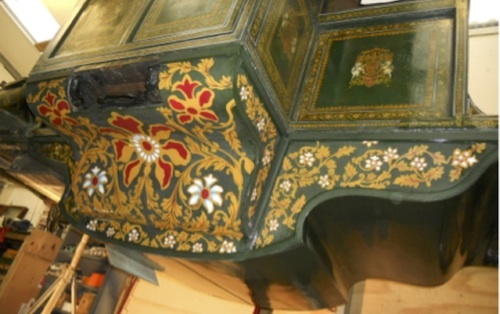 The painted surfaces have an elaborate floral design that is being replicated where it is either missing or essential repairs have been carried out. 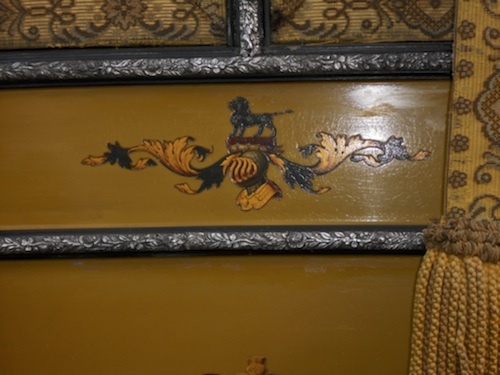 Gold leaf has been restored and when the upholstery has been completed the carriage will look spectacular. 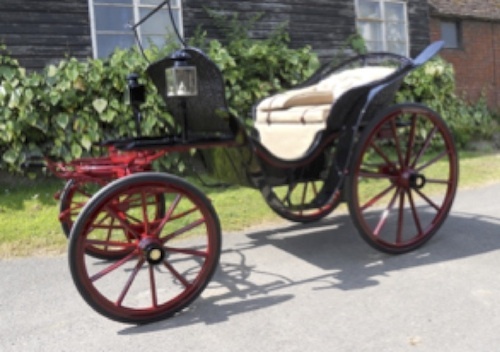 This small wicker ladies’ phaeton was completely restored last year for the Tregothnan Estate in Cornwall and now forms part of the Estate’s carriage collection. 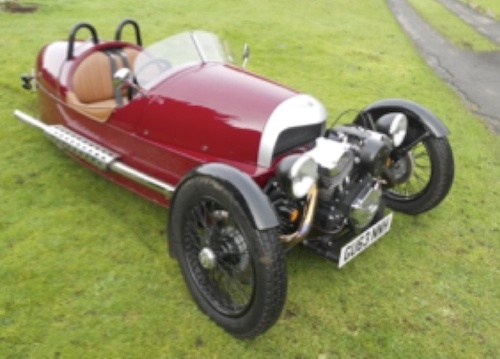 Morgan Three Wheelers Diversifying from horse drawn vehicles somewhat, while both increasing our portfolio of services and indulging our family’s interest in Morgan Three Wheelers, we currently have six Morgan projects underway. 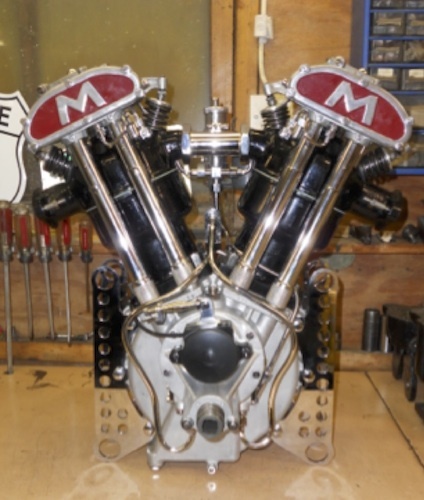 These projects range from a 1920’s Grand Prix Morgan to the development of the new five speeder aero screen kits and include engine refurbishment, bodywork and trimming. 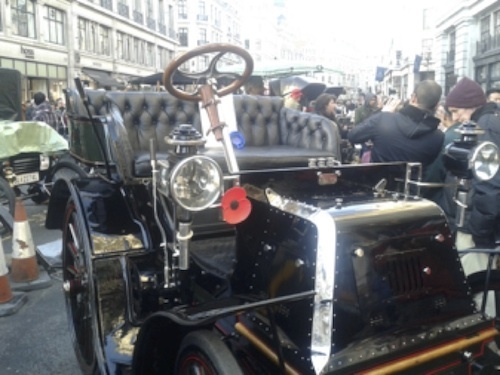 Following our success in the 2012 RAC Regents Street Motor Show, having restored the winning car in the Concours d’Elegance , we went on to restore the winning car in 2013 as well. 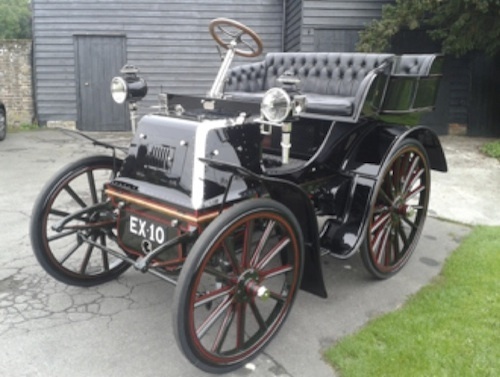 The 1900 Daimler was at Fairbourne for a year during which time the paintwork was carefully removed in order to identify any remains of the original colour scheme. We not only found evidence of the original paint and lining on the wheels but also a monogram on one of the panels which was retained and copied on the opposing panel. The samples of original paint have been preserved and blended in with the new paint finish. We were fortunate to be invited to join the owner of the Daimler on the London to Brighton Run, following the Motor Show. 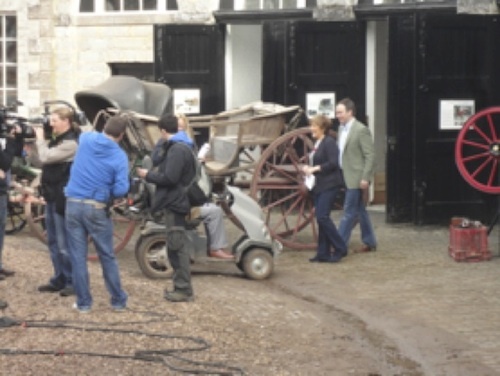 You may have been fortunate enough to catch sight of Duncan, during his 15 minutes of fame, on ‘Country House Sunday’ filmed by ITV at Ragley Hall in Warwickshire last Spring. Duncan talked Linda Bellingham through the Estate’s carriages followed by a lesson in lining a wheel, at which she excelled. During the year several interested groups visited our workshop and last summer a car club from Germany came on an excursion to Fairbourne as part of a tour of England. They were most interested and very generously made a donation to Orbis, the charity we support. Jane has recently returned from Williamsburg, Virginia, where she attended a carriage symposium. She was made most welcome and enjoyed catching up with friends and customers.